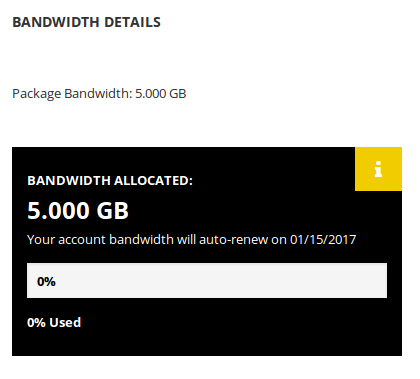 Mvix | How Does My Bandwidth Work? How Does My Bandwidth Work? This article gives you information about bandwidth in XhibitSignage. If you meet the requirements listed above, simply read below to learn more about bandwidth. Uploading files from your local hard drive. The file size of this file will be removed from your remaining account bandwidth. If you had 10 GB and you uploaded 1 GB of data, you will have 9 GB remaining at this time. Downloading files from our XhibitSignage Server to your Xhibit devices. If you download 1 GB of data onto 8 of your players, you will be charged 1 GB x 8 players, which equals 8 GB (1 GB x 8 players = 8 GB). At this point, this will be deducted from your bandwidth allocation remaining. Therefore, 9 GB - 8 GB = 1 GB remaining. Screenshots, logs, and diagnostics. When the device checks in to our server, it sends a small amount of data to confirm that it is still online and active, and sends a small resolution screenshot of what is appearing on your screen. This data is negligible; you could upload over 1000 screenshots to our servers without significantly affecting your bandwidth limitation. With that explained, you may review your usage of bandwidth to identify why and how your bandwidth has been used up on your account. Accidental, partial, corrupted uploads and/or downloads are also charged from your bandwidth account. These issues are the reasons we put safeguards against on the CMS. To prevent these bandwidth problems being a surprise, you can track your bandwidth usage on your account. Once logged in, click on your username in the top-right-hand corner. Once the pop up appears near your username, click the “PROFILE” button. Your bandwidth will renew every year on the date that your account was created.